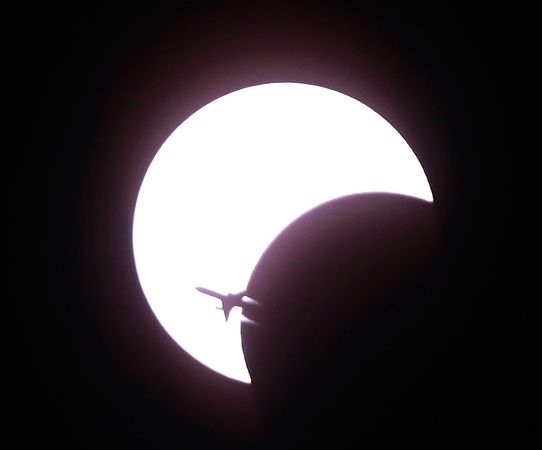 An airplane is silhouetted against the first solar eclipse of the decade, seen over Bangkok, Thailand, in January. 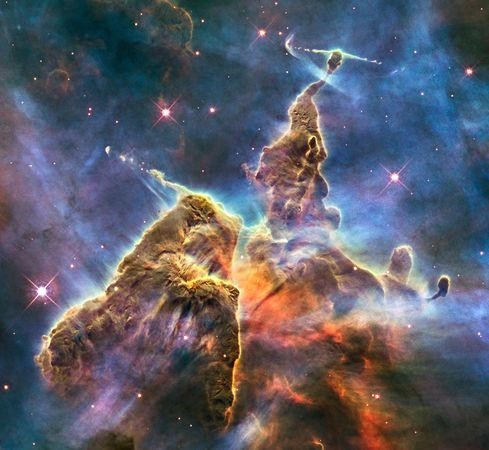 A colorful, craggy column of dust and gas dubbed the Mystic Mountain taken from the Hubble Space Telescope. 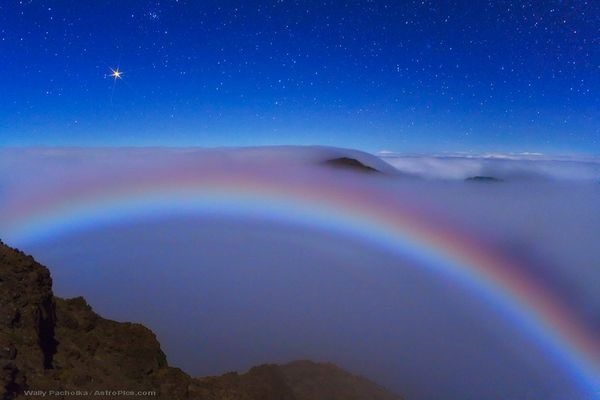 Mars shines like a bright red star over a "moonbow" in fog surrounding Hawaii's Haleakala volcano in January. 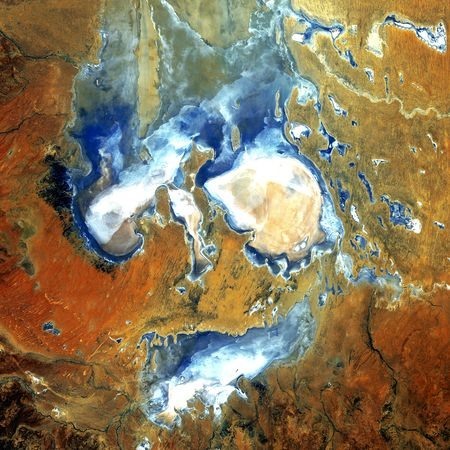 Patches of southern Australia's shallow Lake Eyre seem to form a grimacing face in an August 2006 satellite picture. 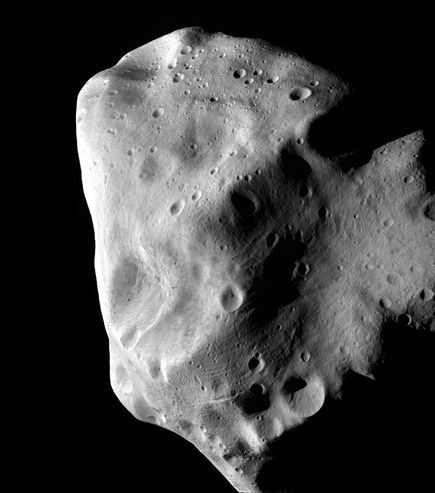 Asteroid 21 Lutetia is exposed, craters and all, in a picture captured in July by the European Space Agency's Rosetta spacecraft. 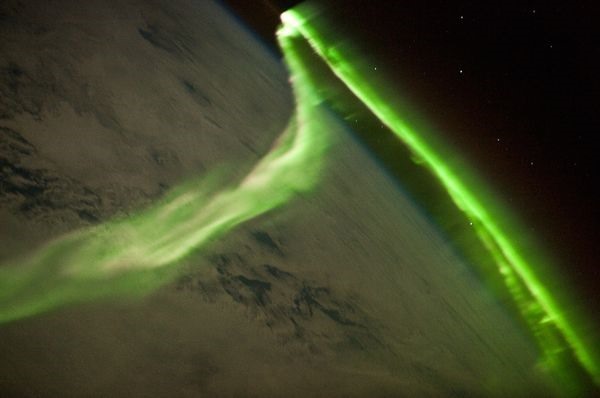 An aurora hovering over the southern Indian Ocean. Previously, 2009's Most Amazing Hubble Space Telescope Images.